As I am writing this Apple is having a press conference about their new products. 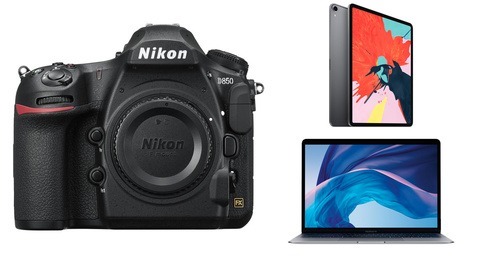 The Apple Watch is getting a software update, the Apple TV is getting a total overhaul, the iPhone is all new (and can finally shoot 4k video), but potentially the most exciting news for photographers is the Apple iPad Pro. 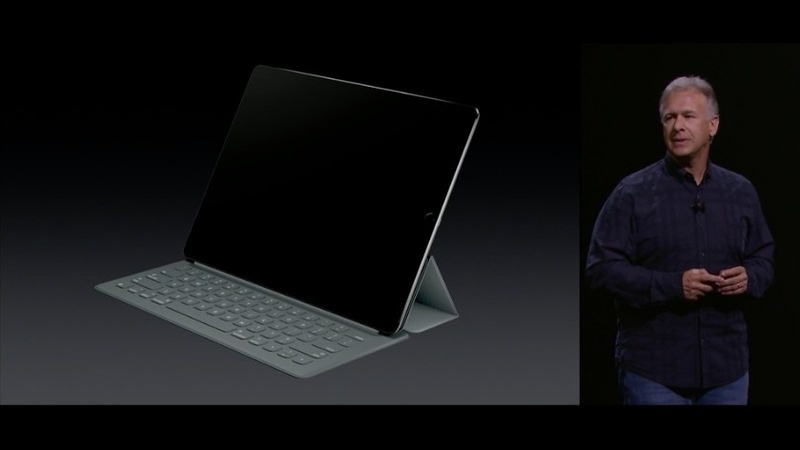 The new iPad Pro is the largest iPad with a 12.9 inch screen. Apple claims that it is the best screen on any of their products with an insane 2732 x 2048 pixels (5.6 mega pixels) The iPad pro is the most powerful iPad by far and is said to be more powerful than 80-90% of portable PCs sold in the last year. It's so powerful in fact that it can play 3, 4k video streams at once (something my super powerful desktop would struggle with). 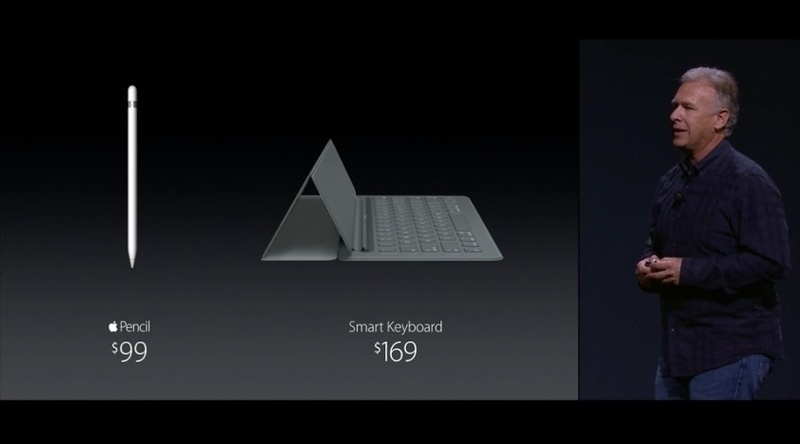 The iPad Pro has an optional "smart keyboard" that works as a cover, stand, and keyboard all at once. For the average casual computer user, the iPad Pro is finally looking like it may be a great decision over a standard laptop, but what does that have to do with photographers? The Apple Pencil may be the one accessory that can actually change the game. 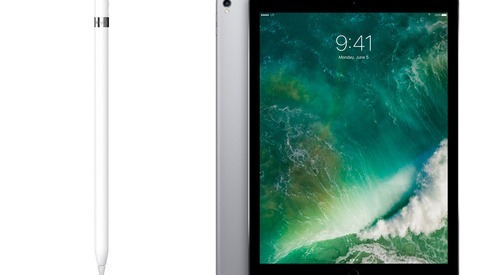 At just $99, the Apple pencil can change your iPad Pro into a tablet similar to the Wacom Cintiq. 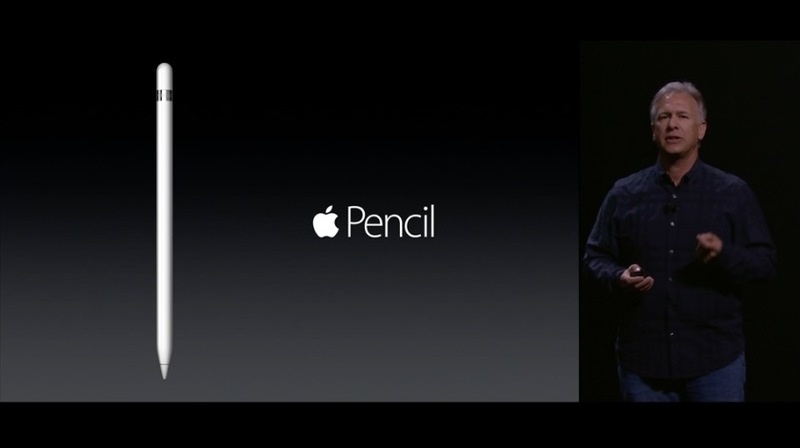 The Apple pencil can detect position, force, and tilt. It's apparently so precise you can select a single pixel. As it stands right now, there aren't any serious editing apps out for IOS. Adobe plans to change that. 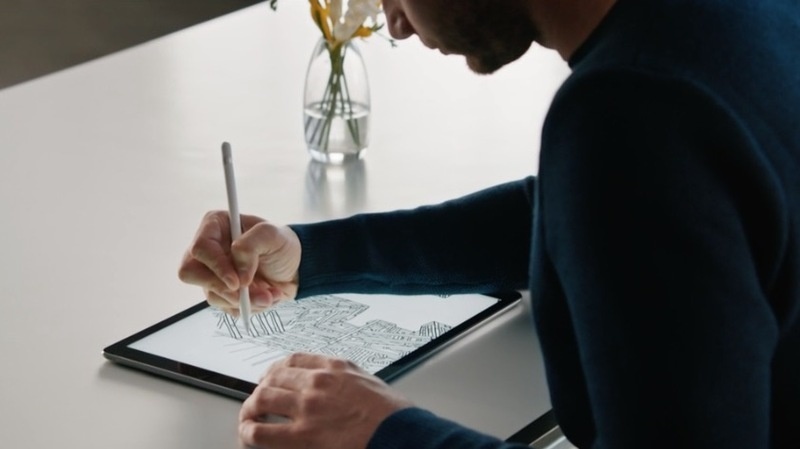 They are currently working on a brand new suite of software that will take advantage of the new larger and more powerful iPad Pro and Apple Pencil. Adobe Photoshop "Fix" "will be able to process a 50MP image." Of course we all know that retouching an image is a lot more complicated than retouching one single file. We will be waiting patiently to see if Adobe will allow layers and masks in Photoshop Fix. If Photoshop Fix ends up being anything like the currently available apps, the Apple Pencil will probably never take off as a legitimate tool for professionals. Only time will tell. Comparably, I would rather have the Surface Pro 3 from Microsoft if we're talking hardware and operating system contributing to a legitimate editing experience. Give this market segment 5 years before we see the convergence that needs to happen in the tablet and laptop marketplace. That'll probably be when Apple finally releases an iPad with Mac OS on it. MS is already looking and developing towards a converged market. That's why many tech pundits refer to Win 10 as the 'glue' for MS hardware and services. Add into the mix of Continuum cross-platform app supports. Being Software as a Service Win 10 is now an AGILE platform allowing MS to roll new changes to the OS and hardware quickly. In 5 years you will likely start to see HoloLens and similar products on the market catering to visual professionals. Surface Pro 4 is rumoured to be out in the new few months along with new Lumia phones which already had 'Living Images' technology. The concern I have about Apps and Lr is the dumbing down I see from many photographers about the work they produce or even to the point they'll do anything to avoid having to step into Ps to do edits. 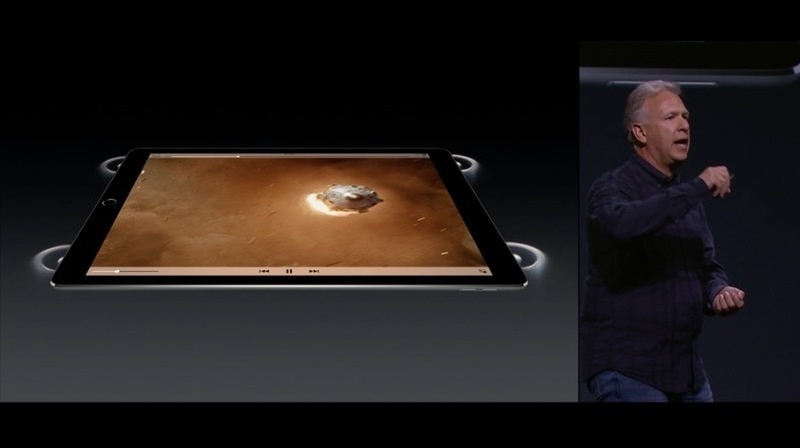 The iPad Pro will only add fuel to that bonfire. "The concern I have about Apps and Lr is the dumbing down I see from many photographers about the work they produce or even to the point they'll do anything to avoid having to step into Ps to do edits...."
Whoa! Wait a minute! Haven't we been told... no... preached upon now for ages across multiple pro photography blogs, training videos and the like... that PROS get it right IN CAMERA. No (or not much) post-processing necessary.... and Dawg forbid Phot-Oh-Shop! The absolute bane and disgust known to purists and real artists worlwide... not including the special derision for the Liquify Tool From Hell that causes untold misery and death to under-nourished teen-aged girls, and a lifetime of manic depression for older women because they can't look like Gisele, Allesandra, Candice & Co. "....The iPad Pro will only add fuel to that bonfire." Why is it I don't think so? I'm no longer looking to Apple to innovate the marketplace. They observe what risks brands like Microsoft, Samsung, LG, Motorola take in the marketplace with new technology, then they respond with their own tidier version of things. The last time Apple truly innovated the marketplace was with the iPad, which gave life to tablets as we know them. This is not a "I hate Apple post" as I'm a happy iPad user and think it's one of the greatest devices I've ever owned. I'm agnostic when it comes to productivity and technology. Microsoft is recognizing that convergence is the future in the mobile and desktop platforms, but until Apple realizes it, the marketplace is going to pretend like Microsoft isn't on to something. Once Apple realizes this convergence, they'll get treated like innovators for an old concept. Why again are you surprised? Because Apple itself has been doing this since the early '00s, starting with the iPod. What's innovative about it is just what you said: they take (steal if you want to call it that) innovative technologies and actually get them into the hands of users when and where they work. Not before... and yes... often times years later. It's a large portion of what Steve Jobs meant many years ago with is often quoted mimic of the original Pablo Picasso statement, “Good Artists Copy, Great Artists Steal”. Did I sound surprised? Look at the downvotes I got from my initial post. Fanboys don't want to have an objective conversation about the marketplace and technology trends. If you sound remotely objective about the discussion, they think you're just a hater. I have the Surface 3 Pro and the pressure (no tilt) sensitive stylus is not as responsive as I would even expect on an i7. I have always suspected that the OS is the culprit. For all my illustrations and photo editing, if I can get my hands on a very portable Cintiq-like device with ten hours of battery life and near zero latency pen response, I'd eBay my Surface Pro in a heartbeat. This is the first time I've been kind of excited about their new releases. I'm hoping this iPad will eventually replace my laptop, should the software match up to the desktop version. It appeals to my minimalist sense to only have 1-2 pieces of electronics to mess with. agree, all other releases are boring except perhaps this one. Another option would be to use e.g. Duet on your Mac. 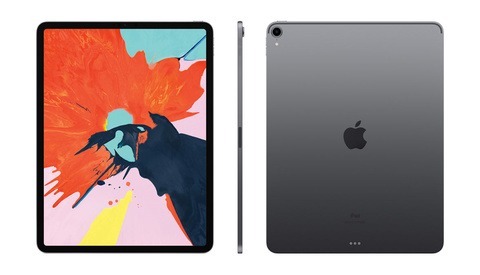 Which will turn the iPad Pro into a 2nd display. 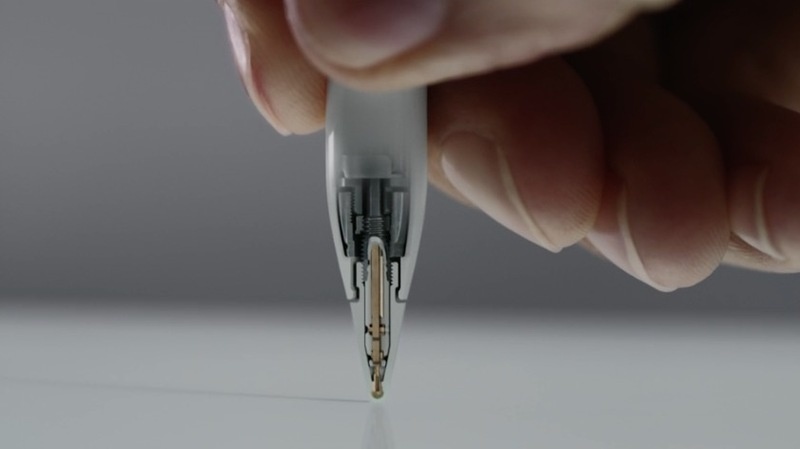 If they add Apple Pen support it could be quite a nice setup. There is already an iOS app called AstroPad which makes an iPad into a reasonable substitute for a Wacom tablet for a Mac and supports various pressure sensitive stylii, and shows the Mac display on the iPad. If they support the iPad pro and the pencil, it would make a cheap Cintiq. Ipad Pro+Pen+Astropad ($799+99+25) =$923 versus a Wacom Cintiq 13HD which is at $799, I think the Cintiq is a cheaper option if you're intention for the iPad Pro is solely for image editing. Unless Photoshop Fix can support Layers and Masks. Lee, unfortunately, Windows is not supported for Astropad. The only way this really will change the photo retouching world is because it's Apple. The Surface and Wacom have incorporated displays into their devices with pens and photo editing capabilities. But if Apple can incorporate the iPad Pro's power and the ability to have simple file management between powerful apps with multi-tasking, I agree, this could be the start of a new computing revolution for creatives. storage might still be the biggest problem if it's used as a sole tool for editing. only Android and some hardware only ! The more accurate stylus and higher resolution iPad will make editing images in Photoshop with the Astropad app fantastic. What I really want is to attach the iPad Pro to my desktop with USB then use it as an extra display that I can edit with. That would provide much more value to me than a mobile editing option, which I already have with a MS Surface Pro 3.
you can't use the surface pro as an extra display that you can edit with ? Actually this seems like a good idea, but if you really start to think about your workflow, it won't work as well. I currently use a PC with a Wacom style drawing tablet. 1) Keyboard shortcuts. For me when I am editing with my tablet, I have my left hand on the keyboard for shortcuts. I use CTRL (CMD), ALT (Open Apple), SHIFT, SPACE all the time for various adjustments such as changing brush size, selecting clone stamp source, etc. While you could potentially assign an on screen hotkey for those (if supported by software), but that is now taking up real estate on the already small display. 2) Holding/using it. Short of lying it down on a desk, you'll either have to hold it to draw on it, or get some sort of angled desk platform to support it. Lying it flat is horrible for ergonomics and can cause back strain. If you're holding it, see #1 above and that becomes more difficult. 3) Work area/arm fatigue. On my tablet (which is actually approximately 10") in size, I actually have the work area scaled down to an area closer to 2"x3" for most editing. This allows simple edits using fingers and wrists instead of moving your whole arm/body for the edit. Doing this with a display like this could lead to muscle fatigue. I actually wish I would have bought a smaller tablet than the one I have as it would be more convenient. 4) Visibility. Your hand is now over part of the image that you're editing, blocking it from view for some adjustments. All of the above reasons are why I never switched to a MS Surface for editing. I'm sure the Surface owners could chime in here, but the best option for portable editing still appears to be a laptop (with keyboard) and a separate drawing tablet. Here's the problem, people was already complaining how over priced the Surface Pro line was which included the pen. They also complained about the price of the keyboards. 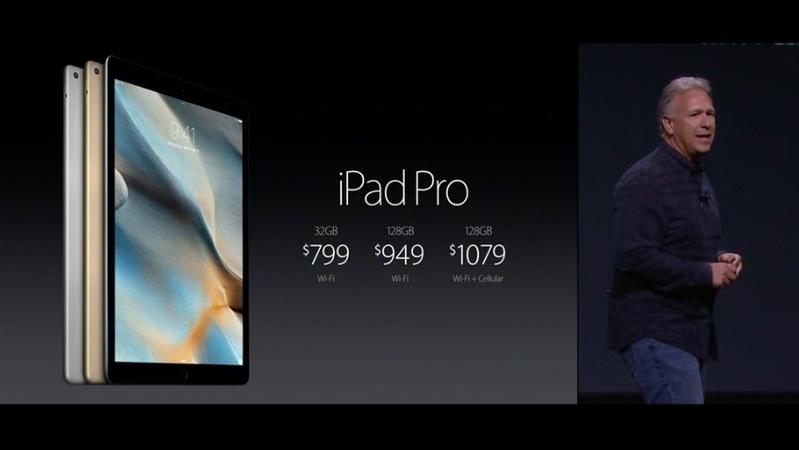 Yet the iPad Pro comes with neither from what I've seen and is more expensive. I had hoped that Apple would actually bring some competition to help force MS bring the Surface Pro price down, but that's not going to happen. It's not even in the same market or league despite the hype. Storage is another major concern, especially if you have a lot of media on the tablet. unless it's compatible with mass storage devices then it's going to be a liability. Though no doubt you will find jury rigged support somewhere down the line. I use a Wacom tablet all the time but I'd never want to use a display that I write on. Why? Because displays get warm and I find it uncomfortable over longer periods of time. Also because I prefer to have an uninterupted view of my display at a comfortable angle, and I don't need to see where my pen actually is - all I need is the small marker on screen. So now scenic places will be full of morons taking pictures with twelve inch ipads, replacing the morons that crowded scenic places taking pictures with their 10 inch ipads? *Sigh... The title of the article is frustrating. No existing tablet or the new Apple Pro can create a professional editing environment for photography. You cannot edit photos without an effective Color Management system, including a wide gamut monitor, controlled physical lighting environment, and the correct luminance levels for the screen. I wish more photographers would see Color Management as being an essential aspect of photography. It's impressive but in my opinion it's to addicted to an desktop or laptop, if it comes to file exchange from cameras... Is the Ipad able to handle tethered shootings? There is jury rig options to make the iPad do tethering but it's not native and it's expensive. If you have a WiFi Camera there is apps that can tether to the iPad but you're limited to it's storage which to be frank is rather anaemic if you use the tablet in day-to-day activities.